Decades of documents have left thousands of pounds of paperwork on East Point staff; literally weighing us down. Frustrated with this archaic 20th century ritual, the City of East Point decided to implement an enterprise GIS to streamline workflows and rid unnecessary clutter. Thus, Geo-Point was born and so began [our] next-generation data-driven local government. Have you ever wondered how Chick-fil-A picks such great locations for its new restaurants? Please join the MeGA subchapter of Georgia URISA for our January luncheon as we welcome special guest Chan Lee, Director of Strategy and Analytics for Chick-fil-A, and learn how one of the fastest-growing restaurant chains in the US uses GIS technology to improve decision-making based on predictive analytics on location and market analysis. You won’t want to miss this exciting event. Chan Lee is a Strategy and Analytics Director at Chick-fil-A Inc. whose main duties include development of Geospatial Analytics platforms with a focus in parallel and distributed computing. He works in the Real Estate Department, but his work is leveraged across the entire Chick-fil-A organization. He has been featured in Stores Magazine and Tech Republic describing the value of GIS and digital transformation in the company’s successful market expansion. Registration ends Monday, January 28th, 2019. Walk-ins are welcome, but you will need to pay $15.00 cash or check at the door. Credit Cards are not accepted at this time. Lunch for this meeting will be catered by Chick-fil-A. See registration above for lunch options. A linear referencing system (LRS) is a method of storing geographic features, like points or line segments, along a measured linear element. It is a concept and method that every DOT in the US and almost the entire developed world uses in some form. This presentation will provide a brief overview of linear referencing and its foundational concepts. It will also briefly explain how the Georgia Department of Transportation’s (GDOT) linear referencing system is set up. Danielle is a GIS Program Manager with the Office of Transportation Data at GDOT in Atlanta, GA. She graduated from SUNY (State University of New York) at Albany with an MA in Geography. In her free time, Danielle enjoys traveling, and spending time with her cat and friends. Registration ends Monday, October 22nd, 2018. Walk-ins are welcome, but you will need to pay $15.00 cash or check at the door. Credit Cards are not accepted at this time. You may also pay via the PayPal links included. Lunch for this meeting will be catered by Chick-fil-a. See registration links for lunch options. 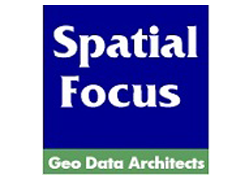 GIS is a field that revolves around finding solutions. Local governments all over the country are using GIS as a tool to create solutions to challenges faced by their offices every day. If you are experiencing a challenge, there is a good chance that you are not the first to have done so. This presentation will cover some of the innovative solutions to those challenges that local governments have discovered as well as some of the things that are going on with data development, coordination, and how local data is being used for regional and statewide projects. Upcoming projects important to local governments will also be highlighted. Mr. Nolan began working with GIS in 1994 when he was the chief appraiser for Morgan County. In 1999 Jimmy went to work as the GIS specialist for the Georgia Department of Revenue. In 2001 he became the local government project manager for the Information Technology Services division of the Carl Vinson Institute of Government at the University of Georgia. Since joining ITOS he has been instrumental in helping develop GIS in approximately 50 counties and has worked with local officials in many more counties and cities to enhance data or provide advice and training. 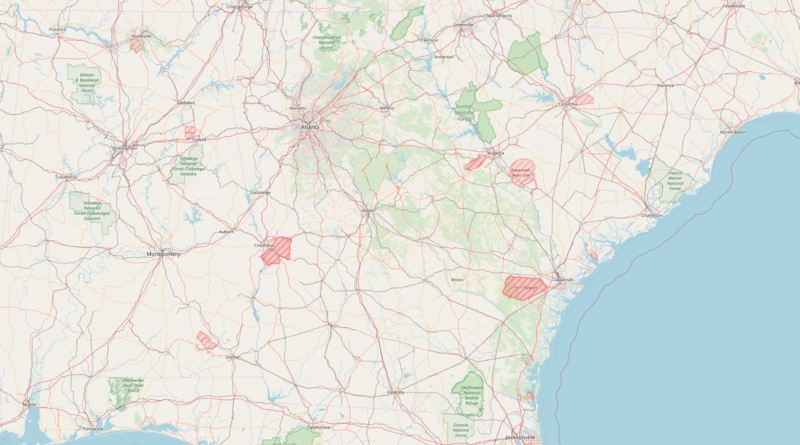 Jimmy is the Cadastral Coordinator for the state of Georgia and was on the Federal Geographic Data Committee technical working group that developed the parcel data content standards for the eastern 31 states. He is a past chairman of the Georgia GIS coordinating committee and a former Ga. URISA board member. He has extensive knowledge of how Computer Assisted Mass Appraisal systems model property values and how the data used in these models is organized as well as how these systems integrate with GIS. The Federal Emergency Management Agency (FEMA) Risk MAP program provides flood data and tools to help communities implement flood mitigation strategies to reduce the risk of life and property. Come join us as we discuss the GIS workflows required to produce regulatory FEMA products like the Flood Insurance Rate Maps (FIRM) and Flood Insurance Studies (FIS). Seth is a GIS Specialist with the Watershed Concepts team at AECOM in Atlanta, GA. He graduated from Kennesaw State University where he holds a Bachelor of Science in Geographic Information Science. In his free time, Seth enjoys woodworking, traveling and going on outdoor adventures with his fiancée, Jessica, and their three year old son, Calvin. Mark your calendar for our next SEGA URISA Event! Feel free to forward this event invitation to others who may be interested. If you would like to attend the meeting but cannot be there in person, you can join us via a conference call. Please RSVP and indicate that you will be attending remotely. Conference call access information will be sent in a separate email. Tony Giarrusso, Associate Director of the Center for Spatial Planning Analytics and Visualization in the College of Design at Georgia Tech, recently completed his second tree canopy assessment for the City of Atlanta, the results of which were highlighted in June 2018 both nationally and locally through news stories published by the Daily Beast and WABE, Georgia public radio. Using high-resolution satellite imagery to identify tree canopy, Mr. Giarrusso estimated that 47.1% of the city was covered by trees in 2014, a seemingly insignificant change from what he found in the 2008 canopy assessment (47.9%). However, after further investigation, Mr. Giarrusso found that while the quantity of tree canopy had not shrunk much between 2008-2014, the quality of tree canopy had diminished significantly. Through a combination of field visits and computer-based review of the satellite imagery, Mr. Giarrusso identified hundreds of acres of land that had been cleared for development prior to 2008 yet remained undeveloped in 2014 and subsequently showed signs of canopy growth, albeit it low quality, fast-growing pines. Unfortunately, these areas of “false” growth comprised the majority of canopy gain between 2008-2014. While identification of canopy gain wasn’t as straight-forward as might be expected, documentation of canopy loss was much simpler, and subsequently more alarming. Mr. Giarrusso determined that the majority of canopy loss in the City of Atlanta was a result of redevelopment of single-family homes, where a small house was almost always replaced with a larger house built-out to the maximum allowable lot coverage. In other words, single-family homes got bigger at the expense of the city’s tree canopy. Using development permit data obtained from the city, Mr. Giarrusso determined that approximately 30-40% of all single-family developments between 2012-2017 were actually redevelopments of single-family lots, most of which were built-out to the maximum lot coverage. And field visits during 2016 and 2017 strongly confirmed that this trend has accelerated substantially since 2014 and does not appear to be stopping any time soon. Please join us on ….to learn how the results of this study and those found in the next assessment (2019) are being used by the City of Atlanta to evaluate policy and its effects on the city’s tree canopy. GIS converts asset management standards, best management practices, and institutional knowledge into an operational asset management program. The quantified steps of building inventories with administrative overlays set the stage for predicting outcomes. The single greatest benefit of using GIS is to create a geospatial and temporal model of the built and natural environment to identify, calculate, and predict risk. Summary: The session will highlight integration of an asset management system and GIS. Topics to be covered include the use of mobile applications, work order management, permitting, and infrastructure rehabilitation in Public Works activities. 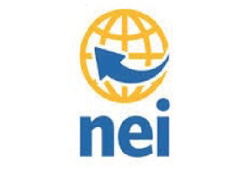 Attendees will leave with the concepts needed to better leverage a common operating picture for users to collaborate using these multiple systems displayed via the GIS language. professional certifications as GIS Professional through URISA and the Department of Geosciences at GSU. Jeff, his wife Alia, and their two little girls reside in the City of Decatur, just a few miles outside the City of Atlanta. Speaker Bio – Christian has worked for the City of Brookhaven since February of 2015. He graduated form Georgia Tech with a Computer Science degree and started working with GIS in 2005 at Southern Company. Over his career in the City Government and the Electric Utility Industries, he’s had to wear many “hats” including software developer, implementations specialist, database administrator, system administrator, system analyst, and of course, cartographer. For questions, please email us or contact Mandy Terkhorn at (912) 651-1458. Summary: Hurricane Matthew made it clear that paper Individual Assistance Damage Assessment (IADA) forms are not viable on a large scale disaster. Chatham County learned from this experience developed an intuitive, mobile data collection method for collecting IADA information. This included developing a Social Vulnerability Index to prioritize damage assessment areas. Hurricane Irma provided the opportunity to demonstrate Chatham County’s changes to the IADA Program while conducting more than 90,000 surveys in only a few days. Summary: We will discuss how Glynn County GIS used drone technology and ESRI Drone2Map software to monitor debris cleanup and calculate the volume of storm debris from Hurricane Irma. This method was used to compare with the amount of debris calculated the FEMA/GEMA monitors and debris removal companies in order to prevent fraudulent billing. Summary: Presentation going through various resources to help streamline symbology and data preparation (and usage). This will also share some real-world lessons learned from Irma. Summary: Presentation on flooding modeled in Hazus that was later experienced in person not too long after the model run.